Smriti Irani was the chief guest at the Atal Tiranga Utsav for Gandhi Jayanti celebrations at Rajkiya Inter College in Muzaffarnagar. 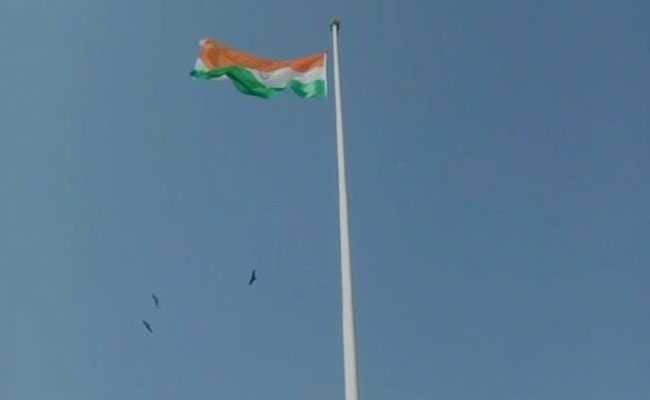 Smriti Irani hoisted a 131 feet national flag at a college in Uttar Pradesh. Earlier in the day, she paid respects to Mahatma Gandhi, saying, "A step towards cleanliness is the real tribute to Bapu."